For many an unbroken silence can be an awkward experience, but somehow the silence between Laura and I is not uncomfortable, nor is it uncommon. It’s an unspoken language that only the two of us seem to understand. A respect that even within the confined spaces of Faith, (a 5 door Ford Focus station wagon) we both understand each others space and the need to process the events of the past few days . In some respects it almost feels like it was months ago that we both agreed to turn Faith around and head back to the great white north, but in reality it was less than 5 days ago. In that time we have crossed the Sea of Cortez , bid farewell to the unknown excitement that lay ahead of us in Mexico and further south into Central America and travelled almost 2,500 klms across the United States. They have been big days, not only in driving terms, but also in events and in the inner sanctum of our very own minds. There are many times in our lives that we are thrown a curve ball. When everything that you had planned out, doesn’t work out, or when dreams are turned upside down or simply ripped out from underneath you. Apparently they call it life. Over the last few days I would have liked to call it a number of things, but none of those should be repeated here on this blog. But as the rolling green grass and trees of Illinois filter past my passenger side window, as have done the farming lands of Mexico, the desert landscapes of Arizona and New Mexico, the dust bowls of Texas and the ranch lands of Oklahoma and Missouri, my mind is beginning to wonder to the possibilities that lie ahead. It is hard not to forget what has just gone on, nor to continue to question why, but something within enables us, or teaches us that life will continue. Or perhaps this is just a lesson that my Mum taught. I’m not sure. What I do know is that I have witnessed my Mum and many others just like her, pick up the pieces when absolutely everything has felt lost. For me at least she did not let me see her dwell on the past, or question too much why. For I am sure that she did. I am not saying for a moment that what Laura and I, or at least I have been through is anything as great as the loss of your husband, your partner or the father of your children, what I am saying is that it is still a loss. A loss of an unknown future, of unknown dreams. Of challenges that scare and excite you. When that is your whole world, and has been your whole world for a period of time, the grief process must still be worked through. And slowly, in our own ways I think this is what this return journey is all about. For me the next step is to return home to Australian soil. To be with my family that I love so much and to concentrate on plan b.. Working for myself. It will always exist and remain entrenched in my heart. Now, however it will also grow. It will be developed further and refined by better knowledge and better understanding. It will be researched further and further and new adventures and challenges will be added. One day, I’m not saying when, but it will become a reality. Frolic in Freedom on Ice…….The journey on hold.. In the beginning we said ‘be it a day, a month, 6 months, a year … it only matters that we begin the journey’. Yesterday it didn’t seem that easy to believe that they were our own words.. Yesterday was a huge day…. in every sense of the word…. and both of us are still trying to come to terms with a decision we would rather not have had to make. but alas it is what it is. In different parts of the hostel here in La Paz, and in our own thoughts.. we are slowly coming to terms with the decision that we have had to make. Rather than re-write history.. our thoughts are below.. raw, un-edited, un-cut. Today has been one of the hardest days of this whole journey. Not because something bad happened, but because I realised I need to look after my body. Today, I decided I need to return to home, be that Canada or Australia. It’s been over a week since I dislocated my patella and I am still having a lot of difficulty getting around. After a couple of attempts by my ever supportive travel companion Janine, to try to get this knee more stable and functional, I have realised this is not going to be a quick or short term problem. Having had this injury before, although not this severe, I know how unstable a knee remains if it is not properly rehabilitated. Although knowing this deep down for a couple of days now, I have tried my hardest to convince myself I could continue. We have discussed at length our options, including ways to remain on our journey, but I feel I am not doing myself or this trip any justice by continuing. This morning, despite knowing the answer, I did some research online (I know, not the smartest thing) in an attempt to find some answers that were contrary to my knowledge. The reality is, 2-4 weeks of healing time, followed by 3-5 months of rehab to get my knee as close to fully functioning as I can. For those of you who travel, you know how long a day or a week on the road can feel, let alone when you are not able to leave your accommodation for longer than an hour or two at a time. Even though I know each day will get easier the thought of not being able to enjoy the activities we had planned due to my physical limitations for months is devastating. For us, this trip was about pushing our boundaries and pushing ourselves individually to achieve more than we ever thought we could, both physically and mentally. This was never designed to be an easy, relaxing trip but rather a challenging one. It is possible for us to switch gears and change things up to accommodate me but I feel as though we would both be missing out on what we truly wish to see and do. Personally, I am also very concerned about the long term impact of not dealing with this correctly. For those of you who know me, you know I have trouble with both knees from similar injuries as a teenager and that walking for any length of time irritates them. You also know that when I get tired, I tend to limp as a result. I can not afford for my knees to become any more unstable or painful on a chronic level than what I already deal with. I have therefore decided the best decision for me, and my body long term, is to return home and go through the process of appropriate rehabilitation. I am not saying this is the end, and I am trying hard not to see it as giving up. I prefer to look at it as a ‘not now’ rather than a ‘not ever’. Who knows what the next few months will hold for us both, but we are certainly keeping the door open to continue to travel together in the coming months. Whether that is in the same way or whether we decide to change it up will depend on how both out lives play out. I’m supposed to be working, but at the moment my mind cannot concentrate on superannuation or investment matters… or simply the calculation factors of an asset mix. Everything in my head is spinning. Not at snails pace, but at a frantic force that begs the question ‘Why?’. Over and over in my head I keep playing scenario’s for how this could work out and how it can continue. But the truth of the matter is that it is not a decision that only I can make. For the week and a bit now it has been since Laura first dislocated her kneecap, I have watched her hobble and struggle with the simple everyday things that we all take for granted. Simple things like walking down the street, sitting down at the dinner table and even simply sitting in the car as we transverse through this amazing Mexican landscape. Each and every step that she takes. Each simple bend that she makes, each vibration of the car, as much as she tries to hide it, the pain is reflected on her face. And it’s not just the pain. The pain is fought with the frustration that she feels at not being able to do these everyday things. Not being able to live the ‘dream of the big adventure’ as we officially nicknamed it when we first thought up this gigantic feat. A life of relaxing on the beach. Of undertaking activities as we felt like it. Of immersing ourselves in the culture of the countries that we visited. And most of all simply living life as we wish we could live it. And somehow now we are at that crossroad. The crossroads of turning back. Of looking forward down a path that we thought would bring us both much happiness and enjoyment and of looking back on a road that we are both not willing to return to, but that we know, in reality, is the only choice. How do you simply turn your back on a future that appears so close, within your grasp? But at the same time, how do you continue forward to a future that now has an uncertainty, not only personally and mentally, but also physically? A future that has the potential to become tainted and not all that we have dreamed about? I learned the lesson young that you need to take care of number one. That you only have one life to live and that you need to make the most of every opportunity you get. And that’s where I’m at at the moment. In my heart I know that Laura needs to rehabilitate her knee, not only for future travel purposes, but for life in general. Can she rehabilitate that on the road? Possibly yes. But at what point do you ask yourself if it is worth it? Do we spend time and money staying at a place in the hope that the rehabilitation only takes a couple of weeks? A month? And then at what point do we then return to this crossroad we are at now? It’s emotionally and physically draining to say the least. It has not been a simple decision. Between the two of us we have talked through a million scenarios, and I’m sure that each of us have thought about a million more. Am I tempted to stay on and do it alone? Of course I am.. but that is not the point of this trip. It was a dream that we shared together and a dream that I hope, somewhere, someday, fate will allow us to fulfill…so for now we regroup, enjoy La Paz and plan our journey home. If someone can have the Tequila, lemon’s and salt lined up when we get home… that would be great..
Oops might just be an understatement! 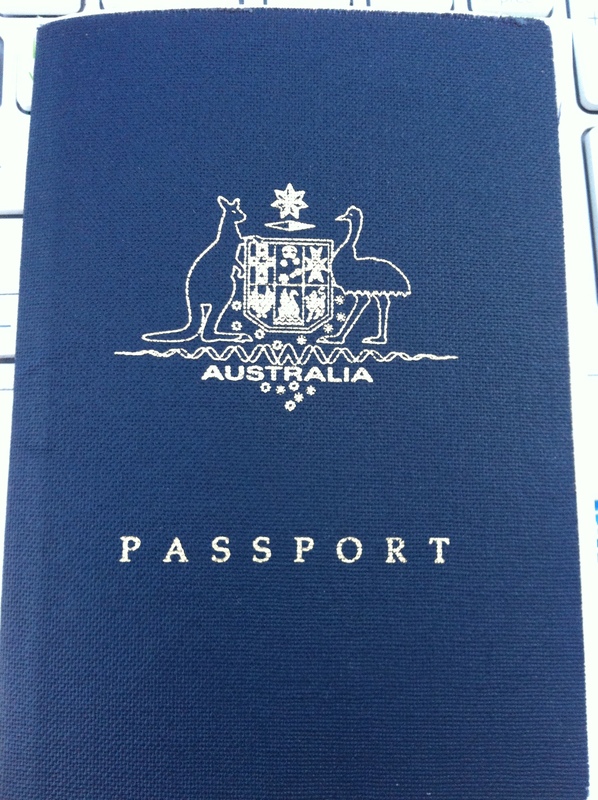 An Australian Passport …. Hold it close and NEVER let it go. A passport is an amazing document. Not only does it form part of your identity, it provides you with the freedom to leave your home country and travel the world. For me, 7 years ago it provided me with a level of self confidence that I never knew that I had in me. For me to explore places that I never thought that I would ever visit, or that I has only ever dreamt of visiting. It has allowed me to grow as an individual and to continue to discover new things about myself that I never would have learnt had I not left my small home town. You are warned to keep your passport in a safe place. Close to you at all times and to protect it and never let it out of your sight. I have always been so vigilant in doing so, but today, today was a different story. You see, my poor little blue book had a bit of a vacation…like about a 4 hour vacation. 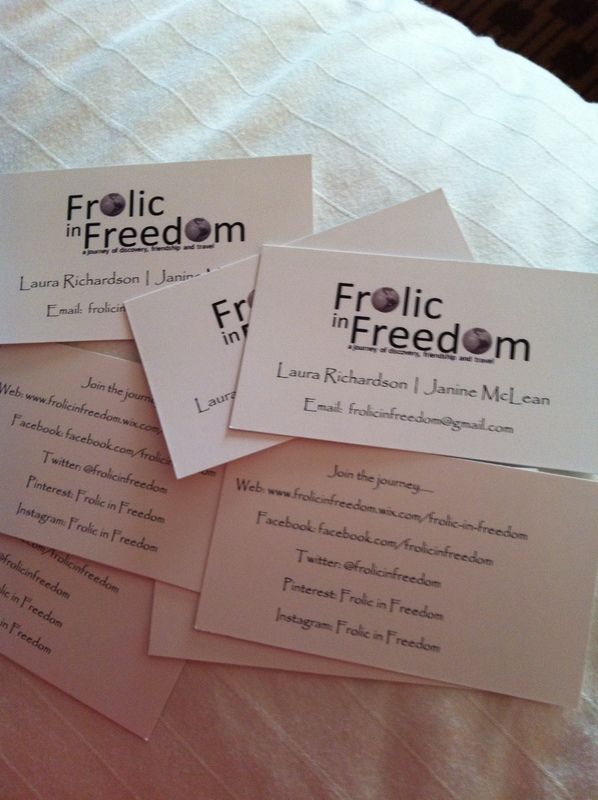 Earlier in the week Laura and I decided that we needed some business cards, or trip cards if you will that included our names and details of where and how people could follow us online.. So being the marketable person I am, yesterday as we were driving the last few stretches of the New Mexico plains, I drafted a couple of versions of cards that outlined all the ways people could contact us, follow us and annoy us while we are on the road.. Today while we were in San Diego we decided to get them printed and while we were at Office Depot Laura grabbed some additional copies of Faith’s registration papers and I decided I’d re-copy all my documents just to be on the safe side. Alas we collected our copies, received our business cards (which look pretty awesome I might add), had some lunch and headed for a bit of a touristy drive along San Diego’s city beaches and wondered the streets of the ritzy Coranda before enjoying late Jamaican and Kohito coffees at Migaul’s Cocina. It may well be suggested or implied that alcohol does strange things to the mind, but pretty much as soon as we sat in Faith I had a feeling.. Yep, that feeling of ‘did I put my passport back into my travel wallet?’, upon investigation the answer was ‘No’. With a very sly and unpanicked voice I looked at Laura and simply said ‘I don’t have my passport!’. The look on her face was priceless.. Of utter shock and disbelief. ‘Your kidding me right?, you don’t have your passport?’ came her reply. ‘Nope, I think I left it at on the copy machine ar office depot’ I responded as I located the receipt from the purchase of our business cards and dialed the number. So with a quick detour on the way home I was re-united with my little blue book, never so happy, I don’t think, to have it back in my hot little hands (not even as happy as the day I received it). You see, although I was pretty confident, my mind was still going a million miles an hour and while this whole trip relies on us both having our passports, the only real thing I was totally worried about was loosing a passport thats got all my stamps in it! It’s strange the silly and stupid things you think. A VERY happy little vegemite tp have my passport back..
As we hurtle on down the road in western Arizona, the sandy, cactus ridden plains around us and the mountains looming in the distance, there is plenty of time to reflect. Three weeks ago we were both at home in Australia, our emotions were high as we prepared to leave our families for the unknown of what lay ahead. It was a difficult and painful time for us both, made worse by the uncertainty of when we would be returning. Landing in our respective Canadian ‘homes’ the internal turmoil continued, for me at least. It’s a gut wrenching and terrifying feeling to leave behind two families and lives in two countries and all the potential both can bring to my future. How lucky I am to be able to feel at home in two completely separate locations and have the love and support of multitudes of people, some blood and some bond. Neither are easy to leave, you are constantly in my thoughts and I miss you all daily. Two weeks ago, I left St Catharines uncertain of my decision to leave but determined to at least begin this journey. One day, one week, one month or one year. The length is irrelevant, we started and that’s all that really matters. We crossed into the US and began driving south as we started to live the dream. We have averaged about 8hrs of driving a day, with the exception of the days we spent in Florida and the Bahamas. We will soon reach San Diego, California having driven the entire length of the US from North to South and then East to West. As the landscape around us has changed from the late winter barren of St Catharines, to the beautiful blossoms and buds of spring, down into the full foliage and greenery of Florida, the wet terrain of Louisiana, to now the dry desert of Arizona, so too have our hearts and heads. Slowly as the days and miles roll on, thoughts and feelings are processed over hours of silent reflection, the road and ever-changing landscape a reminder of the incredible opportunity we have created for ourselves. Janine and I are wonderful travel companions, both comfortable in our own minds and lost in our own thoughts. Singing poorly, but regularly, as the iPhone shuffles my music collection, we find conversation is minimal but frequented by laughter. Working in an office it’s not unusual to receive marketing faxes for a variety of things. Tin sheds. Quickbooks training. Offers to help some Nigerian Doctor distribute the wealth of his recently passed millionaire uncle (all they need is your bank account details right.. How bad could it be). But we also received travel package offers. Just before Laura and I booked our trip to Cuba in 2012, we also brought one of these offers (after much deliberation, duplicate phone calls to the company, and receiving the same information). The package included 3 nights in Orlando, FL, a 2 night Bahamas cruise and 2 nights in Fort Lauderdale, FL. The bonus, 2 nights in Las Vegas, NV that we used last September when we caught up before I flew home to Australia for a bit of a break.Unfortunately, or fortunately in our case, the package didn’t include flights, just accommodation. Laura had always said that she’d love to drive down to Florida when we decided to use this package, so what better way to start our year traveling than with a trip to Orlando, a chance to live every childhood dream and visit Disney World and then spend a couple of days relaxing aboard a Celebrations cruise liner to the Bahamas and two days on the beach in Fort. Lauderdale? And so the trip to Florida was born. Deciding a route to take on any road trip can be mind numbing. Neither of us aren’t necessarily against making the most of every opportunity to see something, but after numerous attempts to fulfill our traveling desires, we agreed that too much time in the US was going to drain our budgets significantly and that the drive from Saint Catharine’s to Orlando would just be that. A means to an end. Straight down the Interstates with very little detours. Initially we had planned a route that would take us to Washington D.C., America’s capital and home to all things political, but after crossing into the US later than expected on Friday afternoon we altered our plans and hit the I90 toward Erie before heading south on the I79 towards Pittsburgh, PA for our first night. Now you would think that with over twelve months to plan for this little adventure we are on, we would have at least our first nights accommodation sorted. 1. Perhaps being very carefree still requires a small amount of planning. 3. The iPad can save loads of time when you can check availability of cheap hotels (read Super 8’s) and book online. Night one was also the night we discovered Sheets, a fresh alternative to service station convenience stops and food on the go. Day two had us up and back on the I79 early. 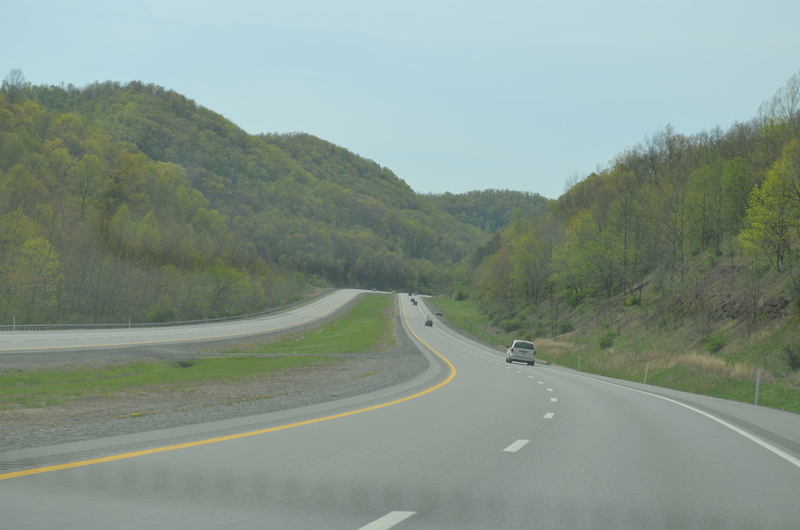 The further south we drove along the greying bitumen into Pennsylvania and West Virginia, the more evident it become that spring had sprung. The new tree buds and pink and white cherry blossoms reminders of a new year and new beginnings. Onto the I77 crossing from West Virginia to Virginia, we drove through some spectacular scenery that is the Appalachian Mountains. Their peaks only recently cleared of snow and the signs of winter still lingering with the coolness in the air. Night two, thankfully we had organized. Friends back in Calgary had arranged for us to stay with family, so with a slight detour east we headed along the I40 towards Apex, NC. What we found were amazing hosts that welcomed us into their home and lives and shared with us amazing travel stories of their own and a quaint little town that can only be described as peacefully beautiful. From Apex, NC we hit the I95 and continued our journey southbound, through South Carolina before enjoying some typically southern lunch in Savannah, Georgia at Ronnie’s – think southern fried chicken and BBQ pulled pork sandwiches…YUMMO, at a typical American diner. From Savannah we continued to follow the I95 hoping for glimpses of the Atlantic ocean to our east or even the opportunity to view one of those stately homes, you know the big old white ones that you see in the movies with the big columns out the front, only to have them blocked by the tall trees and dense foliage of the creeping vines. Crossing the St. Mary’s river and into Florida we found Waldo (Aussie’s think Where’s Wally) before cruising into Gainesville, FL and spending the night with another gracious host, Laurie. I first met Laurie back in 2011 when I came to Gainesville to visit with my cousin, Maree and her husband Jonathan while they where living and working aboard at the University of Florida. Ree had worked some of her magic and arranged for us to stay with Laurie on this trip and it was just the rest and relaxation we needed after a long day driving before tackling the hustle and bustle that lie before us in Orlando. Pat and Larry and Laurie we thank you from the bottom of our hearts for opening up your lives and your homes and accepting us in (as do both our families). While it was only a short drive for us to Orlando, it seemed like forever, but eventually we saw the first signs for Disney World. We had arrived at destination no. 1. It’s a surreal feeling waking up and knowing that for the next unknown months of your life you will be waking up to your own time. Treading your own path. What started as a dream in Veradero, Cuba yesterday become a reality and we are now living the life that so many others only dream about. After packing our lives into Faith (very nicely too I might add), running a few last-minute errands and taking in a quick tour of Lake Ontario, we hit the road. Destination …… south! Crossing ‘Rainbow Bridge’ at Niagara Falls, ON life continued for everyone else like it does day in, day out. Hundreds of visitors lined the viewing platforms on both sides of Niagara Falls, while others took a closer look from the water on the ‘Maid of the Mist’ boats as they closed in under the thundering falls. The mighty sound of falling water from both the US and Canadian falls carrying to the bridge were we sat idle enjoying their majestic beauty. Waiting to cross the US border. 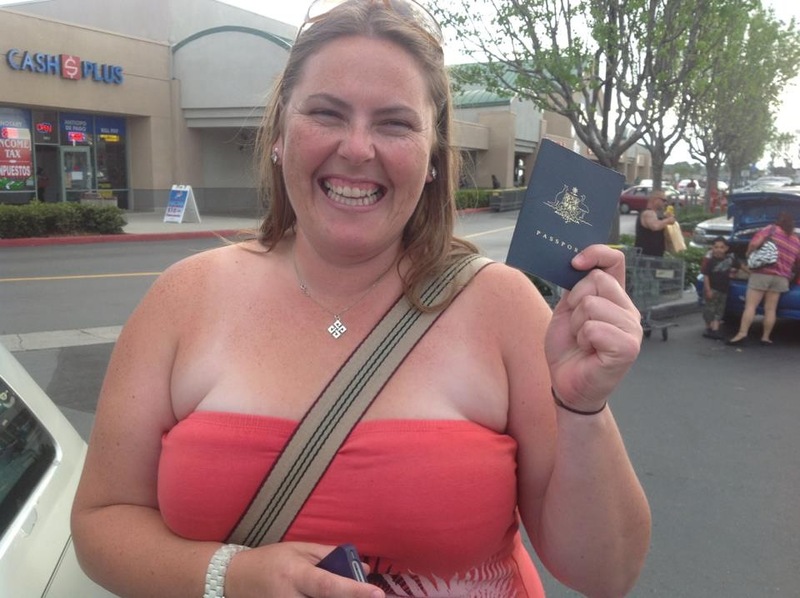 With passports in hand we edged closer and closer, before finally being approved and allowed to enter the US. Hello to our new lives. How do you remember everything that you read on the net? You don’t.. you PINTEREST it! With so many countries to visit and an unlimited potential of sights, accommodation, places and things to do it would take a miracle for the two of us to remember everything AND there is no way that we want to carry a filing cabinet of information with us on the road……………………..
Pinterest is an online pin board, meaning that anything you read or see online or that you are able to save electronically can be ‘Pinned’ to your Pinterest profile (this means websites, scanned documents, photographs, etc) and accessed from your Pinterest site where ever you are in the world (as long as you have access to the internet). To enable you to ‘file’ information for easy recall, Pinterest provides its members with the ability to create numerous virtual boards with the idea of pinning like information with like information on a specific board. In our case, we have started with establishing boards for each of the countries that we intend on visiting on our road trip and will continue to add boards as we see fit., both before and whilst we are on the road. A sneak peek at some of the boards on our page. While most boards are public and people are able to ‘follow’ your pins, Pinterest has recently introduced ‘secret boards’. These are boards that are private and cannot be accessed by the general public, only members that you have approved for viewing. Be sure to check out or Pinterest Page at http://pinterest.com/frolicinfreedom/ or if you are already a Pinterest user, make sure you follow us by clicking the ‘Follow Us’ Button on our Pinterest home page. Do our readers want to decide? Just to add a twist to our travel plans we are interested to know, would you like the opportunity to vote on where, how and what we do while we are on the road? Inevitably we all get asked the question. Whether it comes from our parents, siblings, friends or work colleagues, we will all get asked the one question so many people wonder. Why? Why do you want to pack up your life, buy a backpack and head out into the unknown? Why are you leaving your family, friends, a secure career, your home? Why put yourself in harms way when you can stay home, in a country with less crime, or less corruption, or less poverty? What are you trying to prove? Why are you doing this? The question of why may not always be easy to answer. I have found it very difficult at times to put into words why I have, and am going to continue, to travel. 95% of people will be happy with the half-hearted, vague answers that I inevitable use: because I can; I just wanted change; it’s a great adventure; it’ll be so much fun; I love exploring. The list can go on and most people I talk to are happy with these responses. It’s the 5% who want more of an explanation that I find it hard to answer. How do I describe the feelings that are evoked by travel? The calm that settled over my mind and body as I sat meditating on the edge of the Grand Canyon; Or the feeling of complete inner ease and comfort experienced racing through crazy traffic on a tuk-tuk in Cambodia among the dust, the horns, the trucks and the smells. How do I explain how I felt watching the sun rise over Angkor Wat? Or sipping Iced coffee in a Vietnamese cafe while I watched the world buzz around me? Is it possible to share the sheer joy bursting from deep within as I let my body be guided through the foreign steps of salsa dancing in a club in Havana Vieja? Laughter spilling from the mouths of my dance partner and I as we enjoyed the moment. A moment shared with a stranger, who other than a few hand gestures and basic words, I was unable to communicate with. Sharing a warm welcoming smile with an old woman whethered beyond her years due to extreme poverty and war as she stands sweeping her dirt floor, reminds me of the strength of the human spirit. 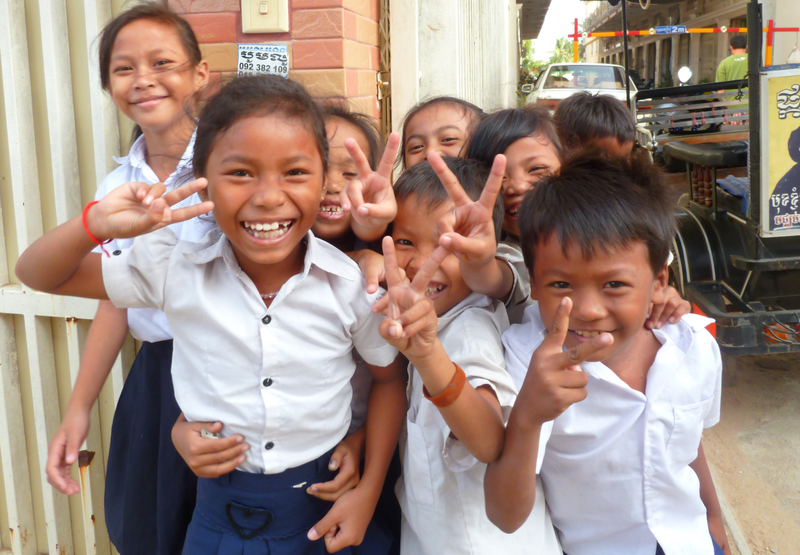 My memory of the curious young children who ran along beside me in their pristine school uniforms as I walked down the dusty path to get breakfast, giggling and nudging each other, brightens my day. The richness exchanged in the friendships I have made abroad, and how it feels to be embraced by an entire family while sharing their special holiday traditions, are things that can not be replicated. The connections and interactions with people from other backgrounds, cultures and religions is where I have learned some of my most valued lessons as an adult. Being part of life in a country other than your own, even for small periods of time, is a gift. Travel is what makes me feel alive. It’s what makes my heart beat and the reason I get up every day. I look at my life and it is obvious how the emotions, feelings, experiences and exchanges I have had while traveling have shaped who I am today. I like the growth I can witness within myself that has come from leaving my comfort zone. This development of who I am will continue with every new experience and I am excited by that. I’ve been taught by people who have nothing, that possessions don’t equate to happiness. Knowing this deep within my heart and witnessing it, makes leaving all my ‘stuff’ irrelevant. Leaving my family was the most difficult, and remains the most difficult, aspect of choosing to live abroad. I have full respect for the concerns people have about my safety. I understand that the world does not work the way we are used to in North America or Australia. Corruption exists, worldwide, to varying degrees. People who travel a lot learn how to minimise their safety risks. I accept that there is a possibility, however small, that I may end up in a bad situation. I may end up in a bad situation no matter where I am. We all take risks in our every day life because we believe the benefit outweighs the risk. For me, the benefit of travel far outweighs the risk of travel. I’m not proving anything. I’m living. Along the way we will share with you what we are listening to, what motivates us and what reminds us of home!